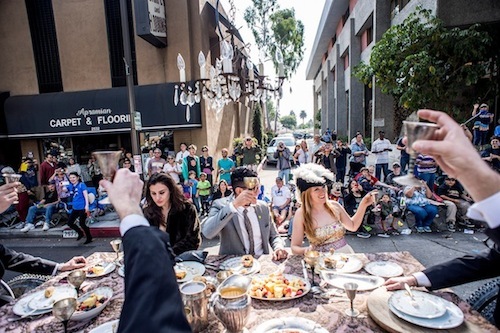 You are never going to know what you'll see and discover at the Pasadena Doo Dah Parade. 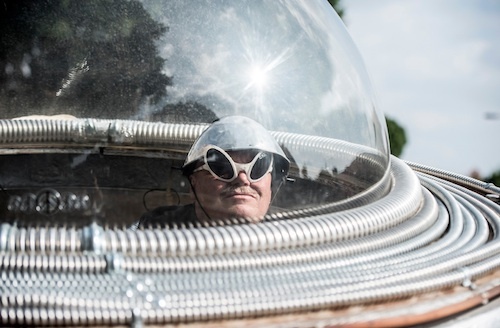 This 37th Occasional was no exception... We had boats, planes, flying saucers and other amazing things! 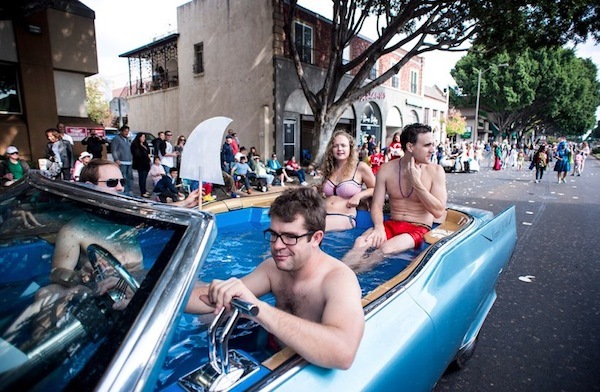 The driveable hot tub, Carpool DeVille, wow's onlookers. The pedal-powered, Moveable Feast, allows its party guests to chow down Colorado Blvd. We were visited by multiple saucers with some unique characters occupying them... a Nordic sailing vessel, and much, much more! For complete coverage of the recent parade and photos of the unforgettable, hilarious, unusual and oh-so-colorful entries, we encourage you to visit Doo Dah's Facebook Page. We also encourage you to purchase a new 2014 Doo Dah T-shirt (in 2 different styles) for the holidays - visit our PURCHASE page on this website! Happy Holidays from Doo Dah & let the good times roll! Our header is a photo by artist Carlos Caetano.